Super-Charged Distance, Ultimate Forgiveness. Women's Big Bertha OS Hybrids are designed for super-charged distance and ultimate forgiveness, with a deeper body, larger and faster face, and next-generation Face Cup technology. Women's Big Bertha OS Hybrids is rated 5.0 out of 5 by 6. 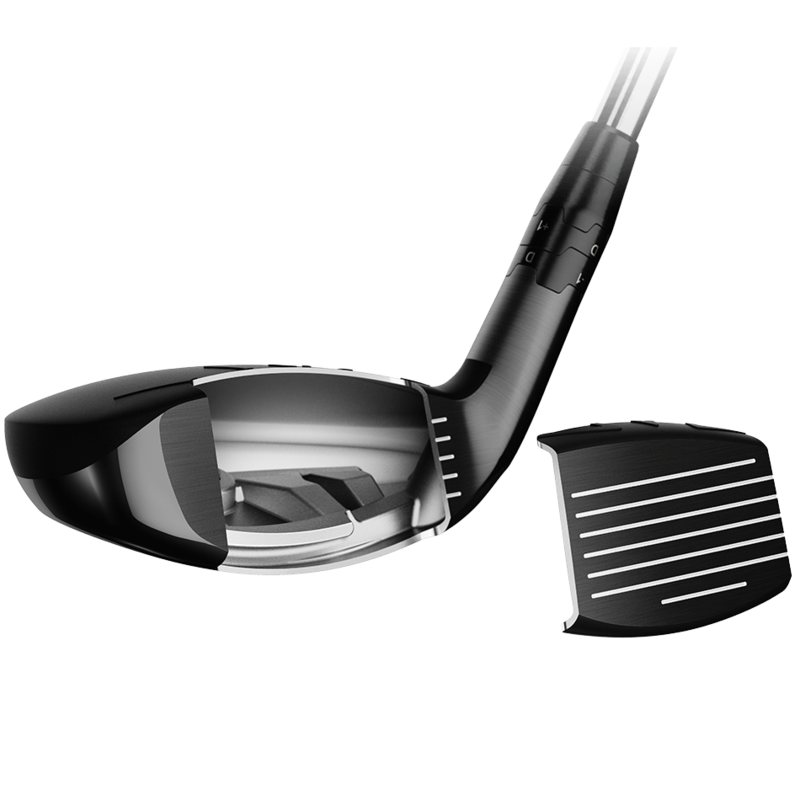 Rated 5 out of 5 by LDT from Improvement Greatly improved my distance from my older Callaway 4 Hybrid. Rated 5 out of 5 by Far4 from Excellent clubs Easy to hit, great distance and accuracy. Love the clubs! Rated 5 out of 5 by Golfing Nana from Love, love, love this club! At times having issues with my irons I was excited to find Callaway had a 7 hybrid to use in place of my 7 iron. Have not changed the loft, etc but nice knowing I can. Have had some of the best shots ever with this club and actually hitting my irons better now as well. Thanks Callaway and especially Callaway Preowned where I find great deals and service! Rated 5 out of 5 by Greg-Texas from Ladies Big Bertha 5 Hybrid Bought the Big Bertha 5 Hybrid for my 10 year old daughter do to the fact that the iron set I bought started with a 6 iron. She hits it great. My older daughter tried it and loved it as well so I purchased a second one for her. I myself own a men's 4 Hybrid and have to say it's my favorite club to hit pretty much anywhere. Especially out of the trees. Fun club and probably won't ever buy another, unless it breaks. Ha. Rated 5 out of 5 by Savana 1 from This club is by far the best one. I highly recommend this product. Better distance. Grate price overall exhalent. Club.. Rated 5 out of 5 by Anonymous from This club allows me to hit balls accurately that I can't with my iron. I was having trouble controlling my iron out of the rough. Started using one of my other hybrids but couldn't get the distance right. After purchasing this club, i obtained the distance I wanted even from the rough.